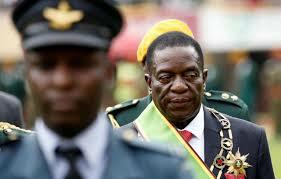 President Emmerson Mnangagwa is expected to meet the country’s 282 traditional leaders in Gweru next week. In a statement yesterday, Permanent Secretary in the Ministry of Information, Media and Broadcasting Services Mr George Charamba, who is also the Presidential spokesperson, said the meeting was part of the President’s ongoing engagements with different stakeholders in the country. “As part of his ongoing programme to connect and acquaint himself with the thinking of different echelons, interests and players of our nation, His Excellency the President, Cde Emerson Dambudzo Mnangagwa, is scheduled to hold a day-long indaba with the country’s 282 chiefs in Gweru on Friday 12th January 2018,” said Mr Charamba. He said President Mnangagwa is expected to engage with the chiefs on their expectations on the new Government’s performance and services. Mr Charamba said the President will also take the opportunity to share his vision as far as rural communities are concerned, as they are home to the majority of Zimbabweans. “The President is expected to take advantage of the meeting to get the views and expectations of different communities on Government’s performance and services, while also briefing our traditional leaders on the vision, programmes and expectations of his new Administration as these relate to rural areas where the majority of Zimbabweans live,” said Mr Charamba. He said Government’s focus on reviving an agricultural-led economy makes chiefs an important player in mobilising and coordinating national development. “Government’s emphasis on an agricultural-led economic recovery makes national traditional leaders key players in mobilising and orchestrating national development through community involvement and empowerment, and within the framework of progressive national value system,” said Mr Charamba.